always one of my favorite places in dallas. That’s such a nice photo of your dad! I miss his wonderful knowledge. Was it? Maybe the store was a “sponsor” and it was mentioned after programs? 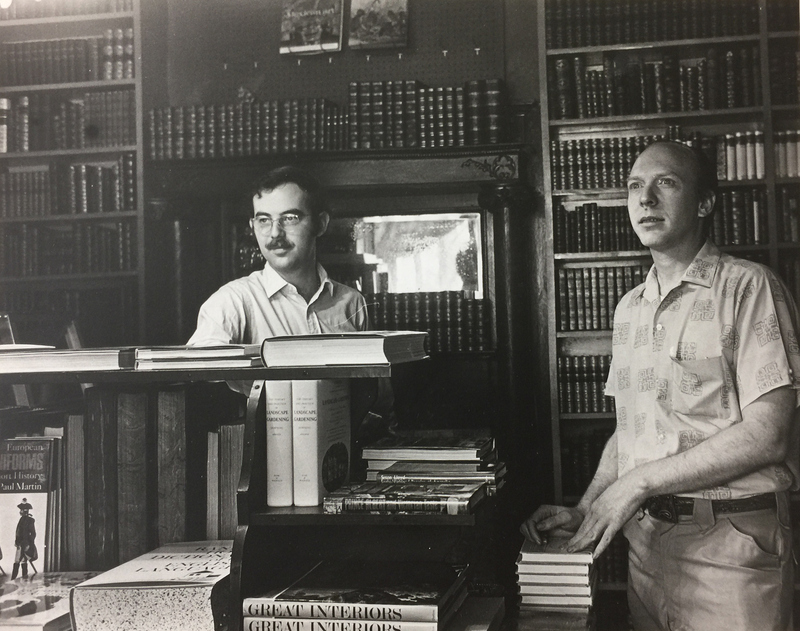 By 1974 the store had moved from McKinney Avenue to Cedar Springs near Fairmount – the back of the store was across the street from the Quadrangle, a place where I hung out as a child but was always afraid I would get lost in and never be able to find my way out. The final location was on Maple Avenue at Wolf, just a couple of blocks away from KERA – several of the station’s employees and on-air personalities were regulars.